If you have a pest control problem in Bury St Edmunds, then Essex and Suffolk Pest Solutions are the experts to call. We can supply a full range of services to both commercial and domestic customers, including rodent control, ant and flea extermination, plus bed bug and moths treatment. 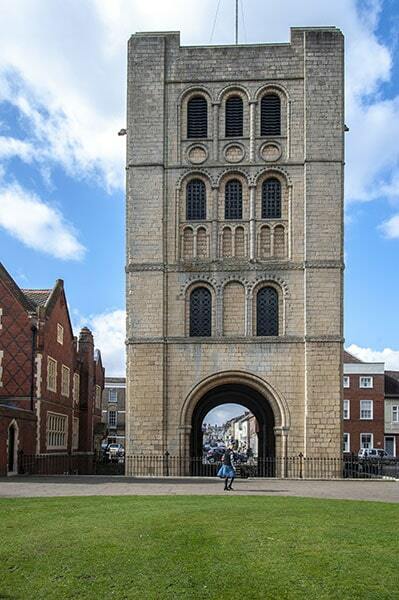 Bury St Edmunds is one of the most historic towns in England. It can be traced back to Anglo Saxon times, when it was originally called Bedric’s Worth. The town is the final resting place of Edmund, King of East Anglia, who was originally buried at the town’s monastery, which was later converted into an Abbey. The town’s religious importance is underlined by the fact that St Edmundsbury Cathedral, also known as Suffolk’s mother church, was built a short distance from the Abbey. In medieval times, Bury St Edmunds grew in importance thanks to its regular markets, which are still held every Tuesday and Saturday in the town centre. Another factor was the textile trade – Bury was one of the so-called Suffolk ‘wool towns’, and many of its historic buildings were built on the industry’s proceeds. Bury St Edmunds is now a thriving tourist destination, as well as a vibrant commercial hub, with a population of more than 40,000 people. The town’s shopping area has been extended by the recent addition of the Arc Shopping Centre. Many of the major chains have now moved to premises within the precinct, which also houses The Apex arts and entertainment venue. The town is also home to the Greene King brewery, which is one of the largest throughout the UK. The brewery also owns one of the smallest pubs in Britain, The Nutshell, which measures just 4.57m × 2.13m (15 ft × 7ft). Another major employer is the British Sugar factory, which processes sugar beet into refined crystal sugar and is located on the outskirts of the town. If you have a pest problem in Bury St Edmunds, or in neighbouring towns and villages including Mildenhall, Lavenham, Long Melford, Clare, Newmarket and Sudbury, Essex and Suffolk Pest Solutions will deal with it as speedily and effectively as possible. Not only will we deal with the immediate outbreak, but we can offer advice on how to prevent your pests from returning. If you have a rodent control problem, we will lay down anti-coagulant baits and make several visits to make sure that the rats or mice have been fully eradicated, as well as identifying places where they might be getting into your home or business. In the case of fabric pests like moths and beetles, we use insecticide sprays and offer advice on future vacuuming and dry cleaning to make sure they stay away. Our friendly, experienced technicians all hold BPCA RSPH Level 2 qualifications and they use discreet, unmarked vans to protect your business’s reputation. If you would like a free quote, follow this link and fill in the online form.